Treyarch posted a community update on Reddit specifically for Call of Duty: Black Ops 4 PC. They revealed the game’s pre-load time and date and they announced their decision with regards to frame rate caps for the launch of Black Ops 4 PC. 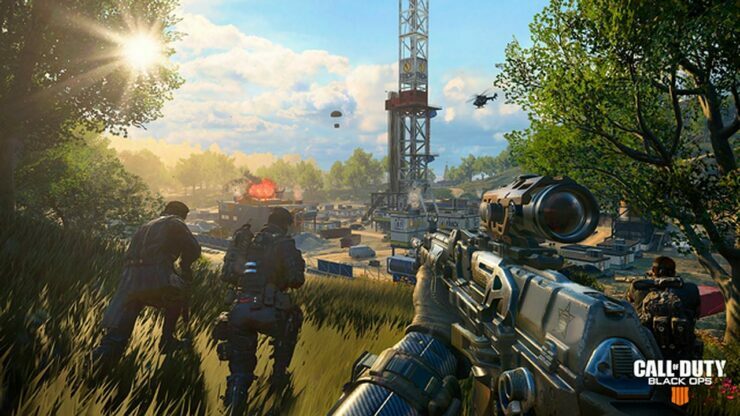 Blackout, the game’s Battle Royale mode, will be capped at 120 frames at launch but Treyarch plans to raise the cap to 144FPS ‘as soon as the servers are stable’ and then remove the frame rate cap altogether in the first few days after launch. On the other hand, the other modes (Multiplayer and Zombies) will have uncapped frame rate on Day One in Black Ops 4 PC. As a reminder, the game is due next week, on October 12th. We’ve been working really hard together with our partners at Beenox, to optimize the game on PC in preparation for day 1 and beyond. Pre-Loading: Players who have pre-ordered via Battle.net can begin pre-loading on Tuesday, October 9 (PDT). Part of our commitment to the PC is to support uncapped framerate in the game. During the Blackout Beta, we made the decision to cap it at 90fps to monitor performance and online stability. The reason for this approach was that as a Beta we had a lot of testing to do. It made sense for getting the game right for the whole community, and we were happy with the end result and the data we pulled from this approach. We’ve come a long way since the Beta, thanks to all your feedback, but we still want to roll things out carefully. Since the framerate affects the load on the servers, we want to ensure that the game delivers a great playable experience for everyone who dives in those first moments. • And assuming all looks good, enable uncapped framerates within the first few days (Zombies and Multiplayer modes will be uncapped starting immediately on day 1). This is the right plan to ensure a smooth, playable game for the whole community out of the gate.